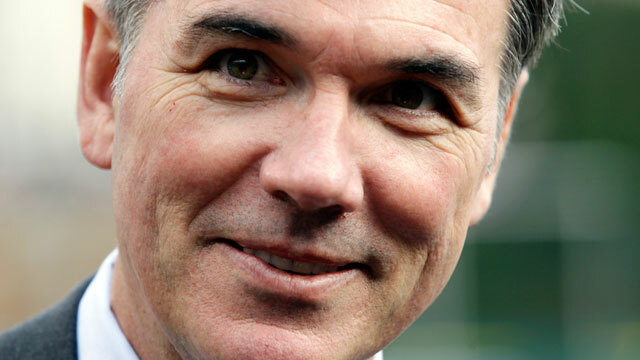 OAKLAND — The A’s have been here before and general manager Billy Beane knows the feeling all too well. Like in 2006, when they lost the first two games of the American League Championship Series only to be swept by the Tigers, the A’s returned home down 2-0 to the Bengals in their AL Division Series. A do or die Game 3 is on tap Tuesday night at the O.co Coliseum. A win and the A’s live to die another day on Wednesday. Lose and it’s a repeat of their four trips to the ALDS from 2000-03 — one series and out. Still Beane remained upbeat. Beane built this team quite a bit differently than what has become known as his “Moneyball” teams of the past decade. He has an uncommonly good relationship with skipper Bob Melvin, giving him the leeway to manage the club as he sees fit. In an exclusive interview this weekend, Beane spoke about that relationship, this team and the possible misconceptions about his philosophy created by the Moneyball movie, which was based on the decade-old Michael Lewis book. MLB.com: How does this playoff experience differ for you among the other ones in your long career here? Beane: Because so little from the outside was expected of us, there was a lot of satisfaction among Bob, the front office and myself. We enjoyed this year a lot. I think we felt like we were better in Spring Training than everybody thought we were. And to see this come together and for these guys to be better than anybody thought — maybe a lot better — it was fun to watch that on a daily basis, especially the maturation of the young guys. MLB.com: What about Bob as a manager? Beane: First of all, we’re almost peers. We came up and played together in the same era. He was a better player than I was. When he was managing in Seattle and Arizona we stayed in touch. We were pretty close friends. Whenever he was in town we’d always take time to have conversations. That’s one of the best things. We get along. We’re like friends. I think we enjoy each other’s company. That helps when you’re working together because not only do I like him, but I respect him. So it’s been great, not only from my standpoint, but the whole front office. Not only have we had a good year on the field, but it’s been a lot of fun because when you’re around each other 162 days a year it always helps to get along so well. MLB.com: Well, you were pretty good friends with Bob Geren, too, weren’t you? Beane: Yeah, Bob [Geren] and I were just fine. But when you combine the friendship Bob [Melvin] and I have with the year we’ve had on the field, it kind of all comes together. MLB.com: It seems that you’ve built this team a little differently than you have in the past. It has some speed. You steal bases. Bob hits and runs. Isn’t that counter to the old Moneyball philosophy that you used? Beane: Bob actually doesn’t hit and run that much, and with the stolen bases he’s very selective. Bob does a great job knowing when to send guys. He does it in the high-risk situations. The other thing that helps is that we’re hitting homers. We haven’t hit homers in the recent past. That’s always been my favorite offensive play, the home run. We’ve done both, which is great. MLB.com: Has that been a change in philosophy? Beane: No, it’s always about your personnel. It’s what’s available to you. The manager has what he has, and he tries to use that in the best way that he can. Bob did that brilliantly. We have Coco Crisp at the top of the order, who can run. Bob’s not going to send somebody just to randomly send him. He sort of manages to the guys’ strengths, and once again, when you have a few guys who can run and a few guys who hit home runs you’re going to score some runs. MLB.com: Do you feel there have been misconceptions about the way you build a ballclub? Beane: I’ve never really cared. What people feel about how we build a team is none of my business. I enjoy doing this job, and whatever narrative someone wants to create out there is something I’ve never concerned myself with. MLB.com: That must be tough, considering that a book and a movie have been done about it. Beane: Nah, I’m good. I’ve never really gotten caught up in that narrative. I’ve always sort of ignored what I consider to be the noise out there. It’s not hard. There are so many more interesting things to listen to and read out there than about me. MLB.com: This team is eerily similar to Bob’s 2007 D-backs team, which was swept by the Rockies in the National League Championship Series. Both had low expectations and won their respective playoff spots and division titles at the end of the season. Beane: I would agree with that. We have some young pitchers. They had some young position players. Stephen Drew was there. The thing I was most proud of our guys is, let’s face it, for 161 games Texas was the best team in our division. It’s a fact. To be able to go toe to toe with them to the end was incredible. We have a lot of respect for that group. We won a very difficult division. The Angels are in that division. Seattle is a very, very good competitive club, too. I mean, it was a grind getting here and these guys had to earn it. MLB.com: What did you see in Drew coming back from last year’s serious ankle injury that you thought would fit in here? You made the deal with the D-backs and GM Kevin Towers so late in the season, on Aug. 20. Beane: Stephen’s always been a guy people respect. As a shortstop, he has great ability. Kevin and I have a great relationship. At first, Kevin wasn’t going to move him to us. We talked before the July 31 deadline, but we stayed in touch and as the season went on, we were able to make a deal. Stephen is a great talent. We needed a little help in the middle of the infield. Bob had some experience with him. Bob is a big fan of his. It was a little bit of a perfect storm with me and Kevin’s relationship and what they were trying to do in Arizona. So it worked out for both sides. MLB.com: Are you going to pick up his option? There’s a $10 million mutual option in his contract for next season. Beane: We don’t have to make that decision for awhile. He’s a guy, looking down the road, we were aware the option was on there. That’s a position we’re going to have to fill moving forward so we’ll figure it out at the end. MLB.com: You had two distinct offseasons. The first part, you moved Gio Gonzalez, Andrew Bailey and Trevor Cahill in trades, and then you later signed Crisp, Yoenis Cespedes and Bartolo Colon and traded for Seth Smith. What was the whole philosophy behind what you did? Beane: It’s a good question, because people have a tendency to look at what we did during the winter, and we really didn’t spend the whole winter tearing down. We traded guys and received 10 players back, and then, because of the financial flexibility, proceeded to build from there. There were just a number of things that were done. It’s just that out of the gate we traded our three best players. When we were doing all our heavy lifting at that point people were watching the NFL playoffs and they weren’t paying attention to what we were doing, which was kind of by design. MLB.com: What did you see in Cespedes that other teams didn’t? Beane: Well, he’s a great talent. Anytime you see him on a field, you can see that. And he’s also the type of talent and player we don’t usually have access to unless we happen to draft him. Certainly, that type of free agent is very difficult to bring into our place. And the timing helped us. A lot of teams, I think, had interest in him. But the fact that it was January and many teams had spent most their money and there were only a few that had any left probably helped us, too. MLB.com: A $38 million contract is pretty out there for you guys. How did you get your managing partner, Lew Wolff, to go along with that? Beane: Woo. He pats on the back now, but there was some risk. There’s risk in any of those big deals. I thought as much as we could we did a good job with our homework, and it worked out. Sometimes they do and sometimes they don’t. MLB.com: The A’s were 82-46 this year with Cespedes in your lineup, so he had to have the biggest impact on your club. Beane: If you look at one guy, I guess that’s true. But there’s definitely a sum of the parts here. You look at each guy on our club — Sean Doolittle, for example — he’s turned into one of the best setup guys in the league, and Ryan Cook, too. As you go through each guy, what you realize is that even though you might not have heard of them before, they’re pretty good players. The Cahill deal worked out well for Arizona, and so did Gio in Washington. I’ve never viewed trades as a zero sum proposition. The idea is that both sides are trying to achieve certain things. In most cases this year that’s the way it worked out, other than Bailey’s injury. It was a disappointment that he got hurt. MLB.com: Really, since the All-Star break you have almost an entirely new team on the field. Beane: We’ve had injuries. We’ve had to make changes on the fly. Brandon Moss was an outfielder. We converted him to a first baseman down at Triple-A for a week and brought him up. We picked up Brandon Inge after Scott Sizemore blew out his knee. Inge got hurt, so we brought Josh Donaldson back up to play third base. He was a catcher last year. That’s the kind of season it’s been. Beane: Is a blank canvas. Eighteen of the 25 guys weren’t even with us last year. It’s nice, though, when it comes together in one season like this. MLB.com: And you won’t have that kind of turnover this offseason.